Vehicle mechanics need more than just technical knowledge and experience to precisely locate and repair problem parts – they also need the right tools. This is why febi bilstein has added tried and tested equipment to its range to do just the job. One of febi’s most popular complete solutions is the DSG Oil and filler tool for automatic gearboxes. The hose can be attached to the actual oil bottle, allowing for a quick, clean and efficient way of re-filling DSG gearboxes. The built-in shut-off valve ensures accurate filling levels, allowing you to offer a professional DSG gearbox service. After the hose has been completely drained, it can be used over and over again. 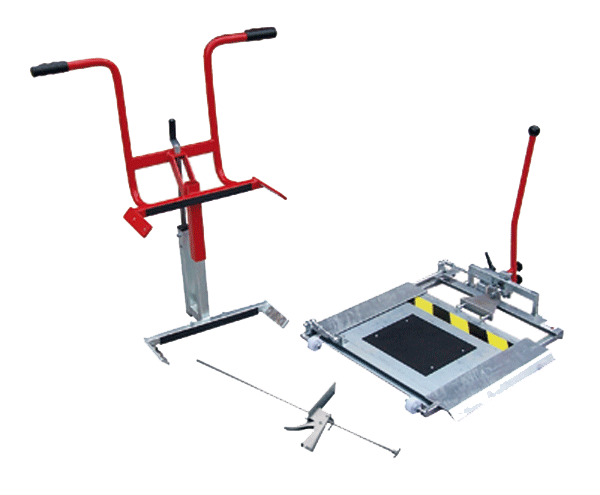 febi also has a mobile mechanical test plate, the joint play tester, which can be used on workshop floors, in pits or on four-poster ramps with running rails. It does not require either electrical power or compressed air to operate, and makes it possible to inspect wheel guiding elements, ball joints and rubber metal bushes on the front and rear axles with precision. Using the test plate is extremely easy. The only requirement is that it is placed on a flat surface. The wheel to be inspected is then driven onto the joint play tester and the brake is activated with the aid of a brake pedal locker. After releasing the test plate locking device, the vehicle technician can then move the test plate longitudinally and transversely to the vehicle axle with the aid of a lever and thus simulate all driving situations, whether it is braking, starting or cornering. In this way, wear and play in one of the chassis components can be identified very precisely. In addition, the body can be really made to shake with the test plate, so that the causes of noise during deflection and rebound can also be located. One of the latest additions to the febi tool range is a locking tool set, designed to lock and/or position the timing chain tensioner as well as engine shafts such as camshafts and crankshaft when replacing a timing chain or during an engine repair. This is suitable for use in Vauxhall / Opel TwinCam petrol engines 1.0 16v, 1.2 16v and 1.4 16v. 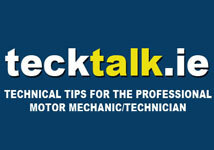 For more informaion on the febi range of workshop tools contact J&S Automotive on 01-629 7999.